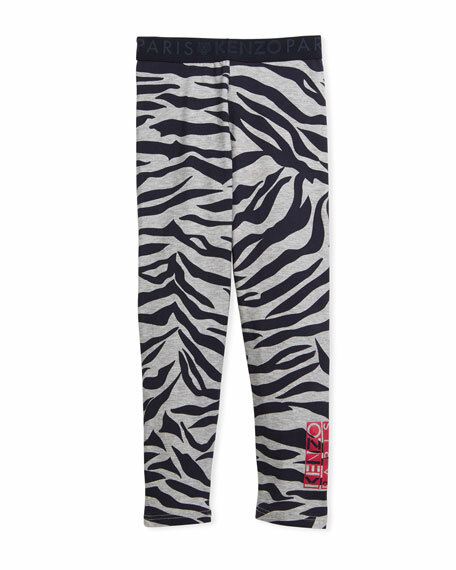 Kenzo leggings in tiger stripes. Elasticized waistband with logo detail. Logo print at left leg. For in-store inquiries, use sku #2476933.